What tasks and project did your people work on yesterday – or over the past week, month or quarter? How long did X project take? How much should you bill your clients on Y project? One of the hardest parts of managing projects is tracking time and billables. With a large number of team members and a lot of pending tasks, something is bound to go wrong. Whether it is managing the budget or the time, you need to have a reliable system to keep the project in order. This is where timesheet softwares play an important role. 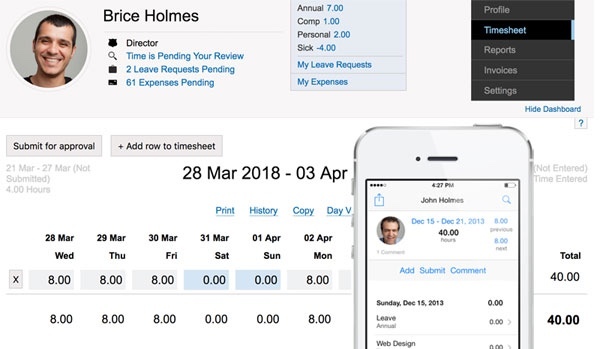 They help allocate tasks to employees, track time spent, keep track of billable time to charge customers, calculate payroll, create invoices and keep track of expenses. There are countless timesheet softwares that ease the burden of project management. But how do you know which will work for your business? 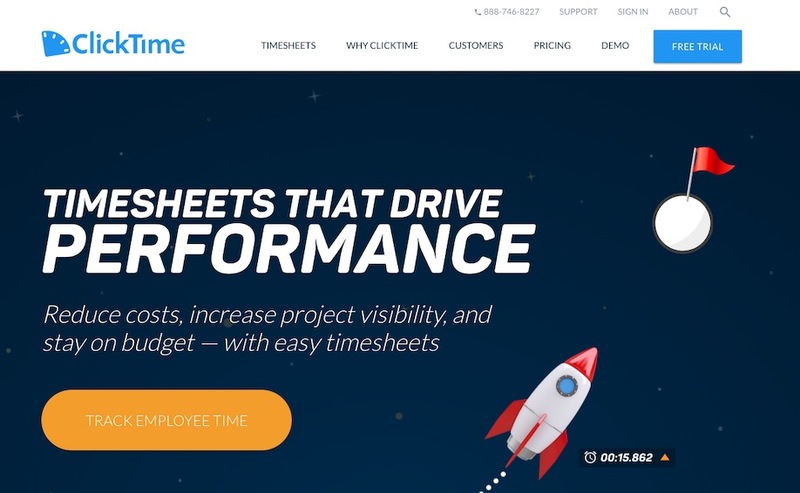 In this article, we talk about 10 different timesheet software solutions and how they can help you manage your team better. Here is the list of software mentioned in the article. You can click on any of them to see the detailed review below. The best timesheet software programs not only help keep track of employee attendance and tasks, but they also increase productivity and profitability. Time Doctor is an automated time tracking tool that lets you generate automated timesheets and visualize it in the form of various reports. The tool helps employees gain an average of 31 productive hours per month, per employee. Employees need to click a button on the application to start a timer, which starts tracking the time they are spending on a task in real-time. This and several other features ensure that employees don’t have to fill in timesheets manually. Manual entry is prone to huge errors – either inadvertently or deliberately. However, with Time Doctor, there is practically no scope for inaccurate time tracking. Small, medium and large remote teams. 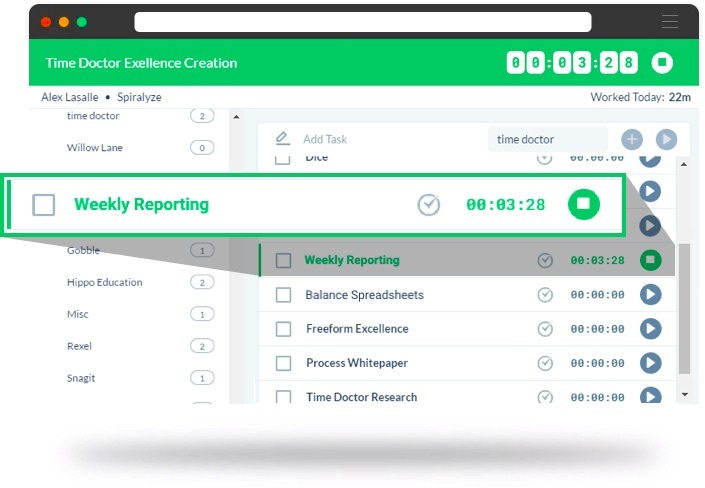 Time Doctor allows you to visualize the time employees have spent in the form of various reports. Let’s begin with the timesheet report. Timesheet reports display the total amount of time worked for users during a period. 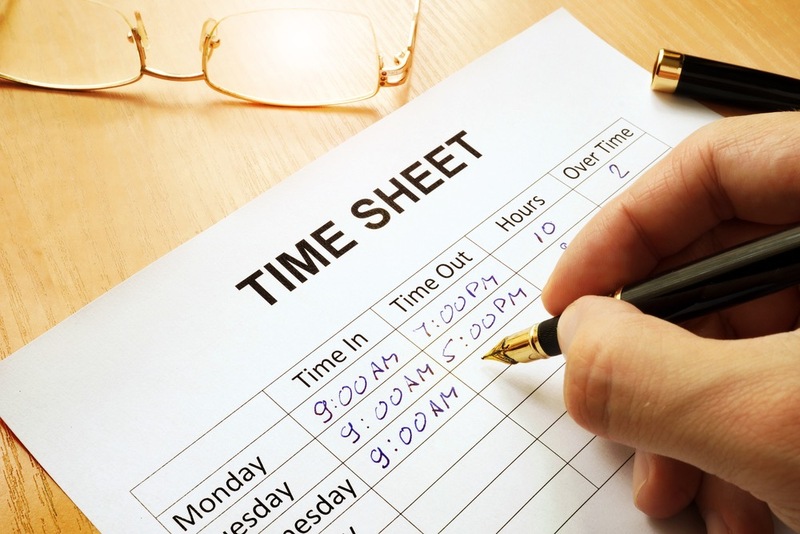 As a manager, you can view timesheets of all employees. These reports can be exported in .CSV or .XLS format. What if you want to know what an individual employee does during his work hours? The Time Use Report shows the total time worked by the user for a particular duration of time. It also shows a breakdown of time spent on each project. The Timeline Daily Report displays a complete detailed breakdown of activity done in a single day. 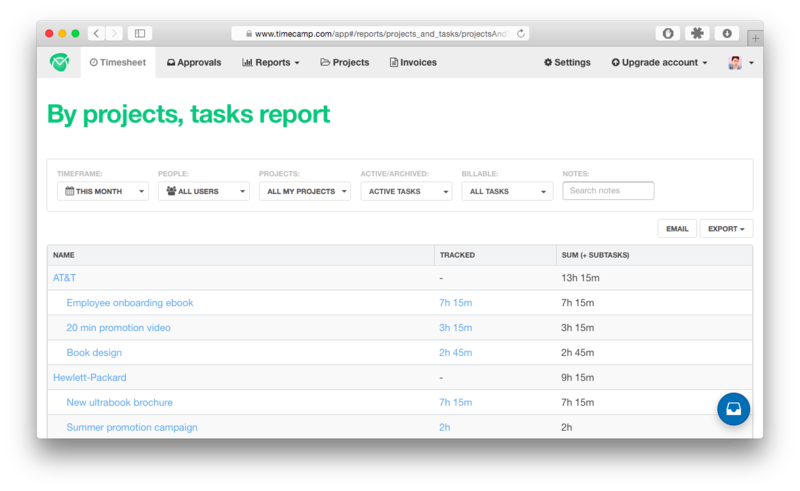 The report page shows you each task worked on a particular day, when those tasks were started and stopped, and how long people spent on each project. 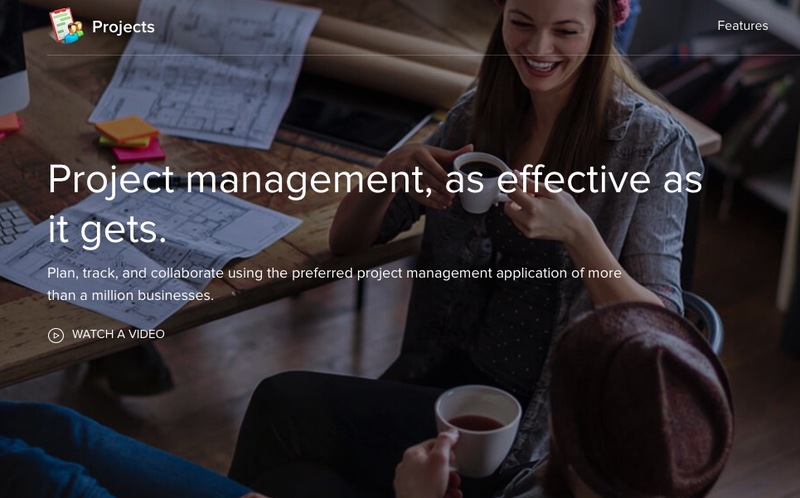 The Projects Report helps you review how much time spent on a particular project. It also displays who spent the most time on the project. When you are managing a large remote team, it’s hard to keep track of absent or late employees. The Attendance Report allows you to see the absentees for the week, along with the reason for their absence. Time Doctor has a variety of ways to help you monitor if your employees are actually working during office hours. These features and reports are especially useful if you are running a remote team and you have no means of physically supervising your team members. The Poor Time Use Report shows when users visit websites that may not be relevant to work. Sites like Facebook, Youtube, Reddit, etc. are automatically labeled as potential poor time use. However, you can choose what websites should fit into this category. The report shows the websites visited, the dates and times they were accessed, and the duration of the access. You can choose to activate or disable this feature in Time Doctor. If you do use this feature, it’s recommended that you inform your employees that their web activity is being tracked. The Web & App Usage Report displays all application and Internet usage of a particular employee. Unlike the poor time usage report, it doesn’t classify what apps might be time-wasters. You have the option to stop tracking this information for selected users. This is a useful feature for monitoring remote employees. Time Doctor can take screenshots of your employee’s screen every few minutes. Screenshots are useful for employees who have a history of being insincere with their targets. In case your employees are accessing sensitive information, they can choose to blur their screenshots, but the URL would be captured. Note: Screenshots are only taken during work hours, and only if you select this option. Time Doctor does no track employee activity outside of work hours or even when the time tracker is not running for a particular task during the day. No matter how efficient your employees are, we all tend to get distracted. Time Doctor helps your team members stay focused by displaying pop-ups when you get distracted from work. Employees get a gentle reminder when they visit social media or entertainment sites while their project timers are still running. It ensures that the time being tracked is for actual work done rather than unproductive activities. Transparency is the best way to build trust. Keep your clients in the loop when working on a new project. Time Doctor allows you to give your clients access to all ongoing project reports, screenshots and timesheets. Clients are reassured that their project is on track at all times. You can always choose what data your clients can access. Time Doctor is more suited for companies rather than freelancers or solopreneurs. The chrome extension is limited, and therefore it’s best to use the desktop app instead. Time Doctor has integrations with several productivity tools such as Jira, Asana, Trello, Basecamp, Slack, GitHub, Salesforce, Todoist, Bitrix24 and more. Here’s a list of available integrations and add-ons. Time Doctor is priced at $9.99 per month per user and offers volume discounts. You can sign up for a free 14 day trial without a credit card. 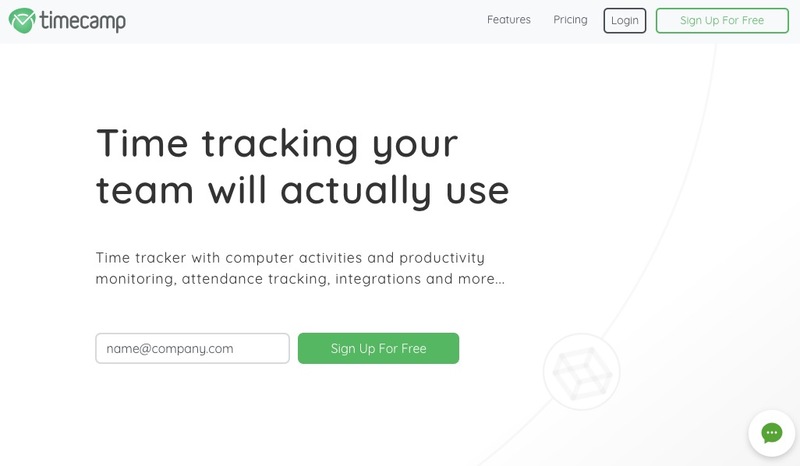 This tool was created to keep track of employees who were always on the move. Tsheets allows you to accurately track time from any device. Very useful for field sales and support teams. Also applicable for remote teams of all sizes as well as freelancers on long term projects for the company. Do you know where your field employees are during work hours? TSheets’ time clock app for iPhone and Android automatically attaches GPS location points to your employees’ timesheets when they clock in or clock out out. Enable facial recognition and photo capture to make sure the correct employee is using the app during the login process. The app is a great way to increase employee accountability. Employees can take a photo of the completed task and attach it to the timesheet. No need to print a new job schedule every week. 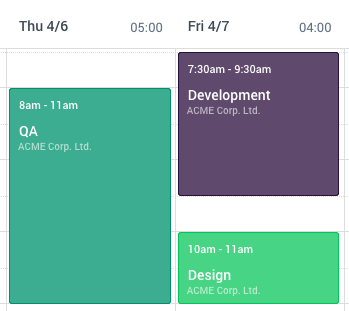 Its drag and drop interface allows you to create or modify a schedule with ease. Employees are instantly notified about shift changes. Based on the job, you can grant different permission types. For example – Allow managers access and edit timesheets of other workers. You can enable mobile time trackers for salespeople. You can also restrict remote employees from clocking in and out when they’re not in an approved location. Can’t customize hours by department or employee. The tool only allows you to track time from 8 to 5 pm on an international schedule. You can integrate Tsheets with Quickbooks, Asana, Namely, Flint, Expensify and a number of other tools. If you are a freelancer, you can use the tool for free. For small or medium businesses expect to pay around $4/month/user + $16 base charge. Clicktime allows businesses to track billable time and monitor employees time usage. The tool just doesn’t track time, it also provides solutions to increase productivity. Businesses who want detailed analytics along with timesheets. Clicktime is available for web, desktop and mobile. Platforms include Windows, Mac, Linux, iOS, Blackberry and Android. Many timesheet software have a steep learning curve, which ends up wasting your time. Not Clicktime. Its intuitive user interface allows employees to track time, edit hours, add goals, etc. on the mobile or desktop app. 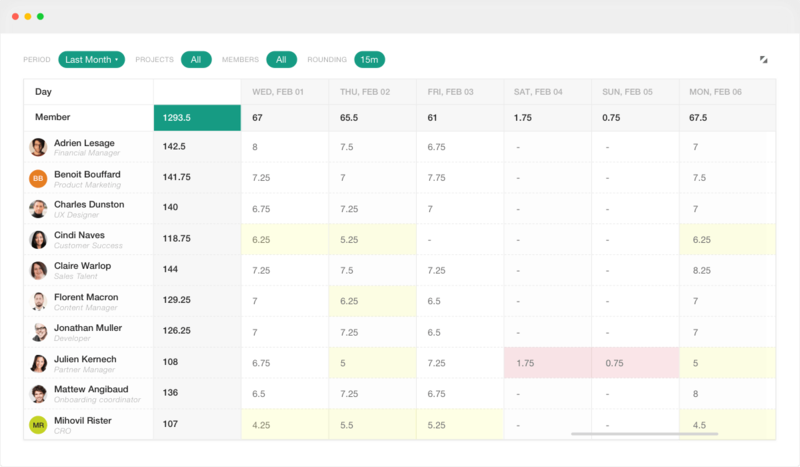 Track employee availability, costs, and productivity through interactive dashboards. How do you know if your project is on the right track? 80+ inbuilt reports inform you about project budgeting, employee resource management, and expenses. Personalized reports for every business including for agencies, nonprofits, consultants, universities, architects, IT, healthcare and more. Clicktime is a comprehensive tool and you might get lost in a sea of features. However, its customer support team can help you to integrate the tool with your existing processes. The tool has several features that you will probably not end up using. If you are looking for a straightforward tool, this is not it. Mobile app features are not as extensive as the PC version. Clicktime can be integrated with CRMs, project management tools, payroll automation, and communication tools. A few notable integrations are Zoho, Salesforce, Hubspot, Quickbooks, Xero, Jira, Google sheets, Slack and Dropbox. Plans start at $9. All plans have a free 30-day-trial period. Hubstaff is a timesheet software that allows you to monitor employee activities during work hours. As a result, you can determine how productively employees are spending their time at work. Small and Medium Business. Preferably those with remote teams. Windows, Chrome, Mac, Android, and iOS. Most businesses don’t have a dedicated system to monitor check-in or check-out timings. To prevent fraudulent timings, Hubstaff automatically logs the first (mouse movement or button press) and last employee activity of the day. You can see how much each team member has worked over a period of time – with daily, weekly, or calendar views. You can get a better understanding of your team’s capacity. Use this information to improve your future scheduling. Timesheets are linked to payroll, so you don’t have to do manual calculations for paying your freelancers who bill you by the hour. Do you know what your employees are doing during work hours? 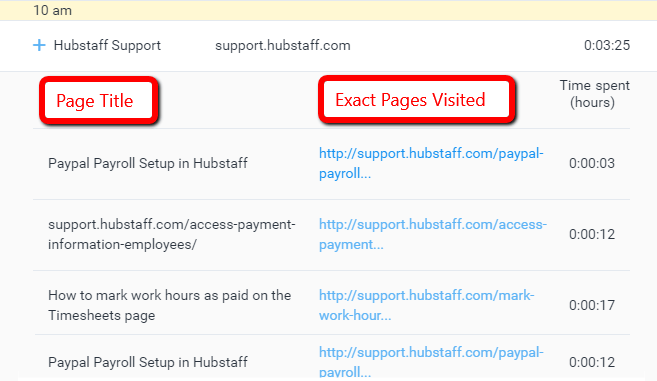 Hubstaff allows you to track your employee’s website usage. You can even visit these pages to determine whether your employee was wasting time on the project. 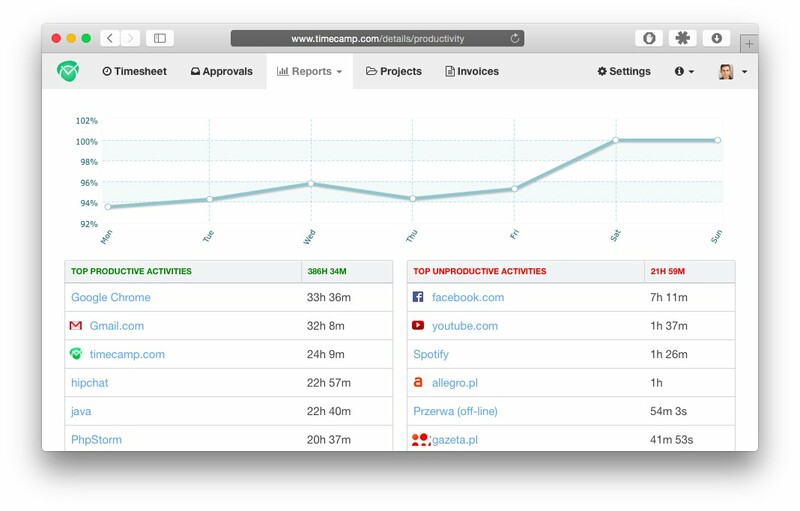 Use the employee monitoring tool to take screenshots of your employee’s screen every 10 minutes. You can even track their activity through keystrokes and mouse clicks. High individual activity levels indicate your most productive employees. Note: Before using this feature, inform your employees about monitoring systems. No late or absent reporting. 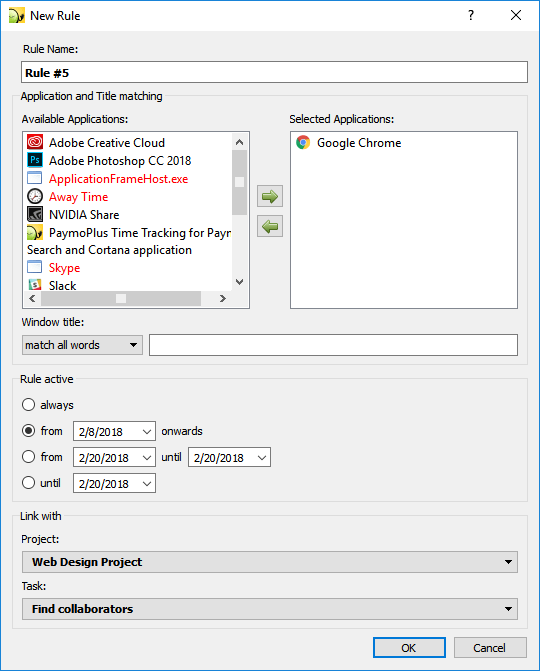 Unable to create tasks in the desktop app. 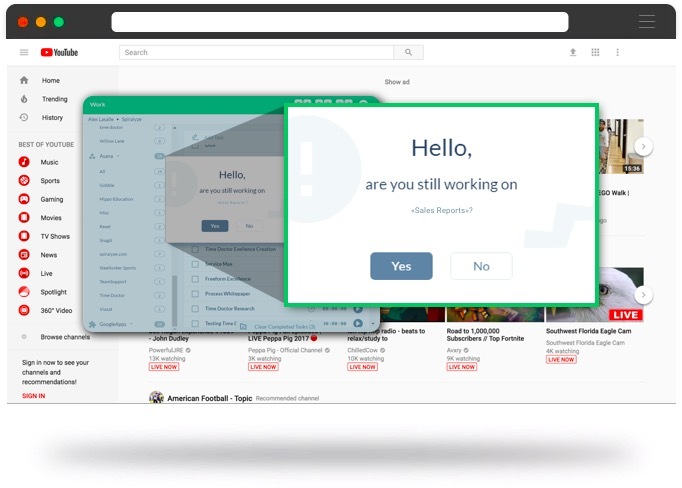 You can connect Hubstaff to Asana, activeCollab, Trello, Quickbooks and more. The basic version costs $4/user/month annually, while the premium version is available for $8/month annually. Switch between plans during the 14-day free trial to discover advanced features. 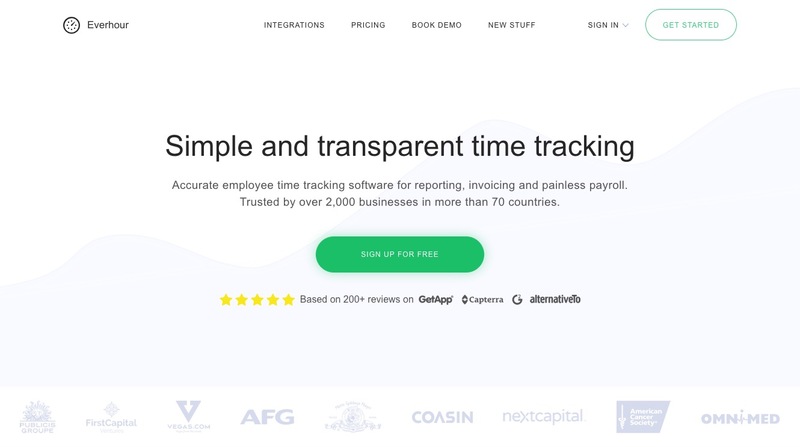 Everhour is a simple and well-designed timesheet tool for reporting and invoicing. It seamlessly blends in and works alongside your existing tools. Freelancers, small and medium businesses. Chrome, iOS, Windows and Mac. Build a report from scratch depending on your requirements, or experiment with multiple report templates. Some of the templates include a monthly timesheet, overtime report and a real-time dashboard. You can customize, edit and filter these reports to the make use of the data. Start and stop time tracking directly from your browser directly. Everhour reminds you to track your time on workdays if you haven’t recorded time yet. The browser tracker eliminates the need for additional software. 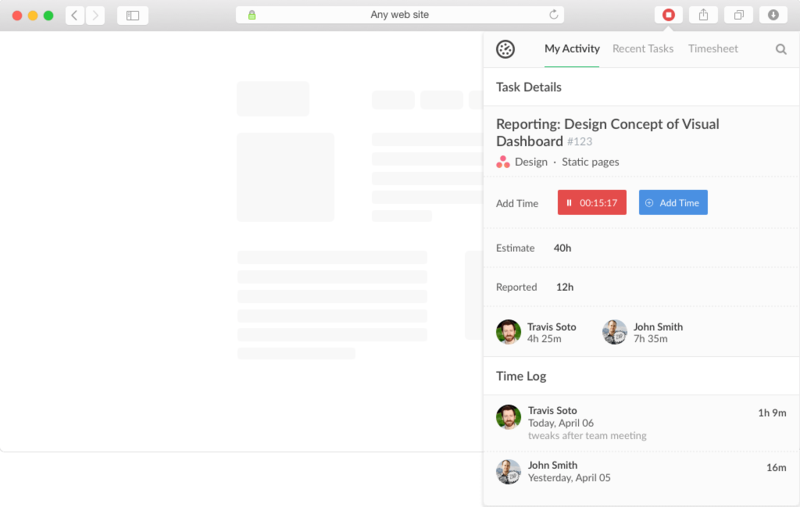 Most task management software such as Asana, Basecamp, and Jira don’t have inbuilt timers. It can be confusing, even frustrating to use more than one tool to measure productivity. Everhour allows you to directly use this time tracker on these software through integrations. 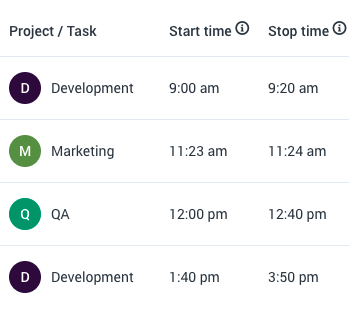 Your employees can keep a track on reported and estimated time next to the tasks titles. Reports have a steep learning curve. No employee monitoring option. So you don’t really know how accurate your records are. Everhour works well with Basecamp, Asana, Clickup, Xero, Quickbooks, Slack and more. After the 14 day trial period, you can subscribe to the team version for $5/user/month. If you are a freelancer, you can use the solo version for $8/user/month. TimeAttend is a flexible employee attendance platform from Replicon. It gives you a comprehensive overview of every minute spent by every employee. Medium to Large sized businesses. Preferably for diverse teams consisting of remote employees and field workers. Available on Windows, Mac, iOS, and Android. Your business may have many part-time, full-time, hourly contractors and remote workers. Managing payroll for a diverse group of employees can drive you crazy! TimeAttend helps provide a centralized platform for attendance and pay for all employees. Your employees can clock in and out through their system or the mobile app. You can manage your dispersed workforce with a centralized platform for timesheets. It also helps you keep track of regular and overtime hours to simplify this process pre-payroll. What makes TimeAttend unique is that has a global pay rule library that ensures your paying your employees fairly under labor laws. These policies may include overtime, meal breaks, premiums, etc. It’s real-time calendar view shows which employees are currently working. You can view the summary of hours worked by each employee and their shifts. Use this information to ensure you get the right number of people to fill your shift. No screenshot and website monitoring option. Makes it difficult to gauge employee productivity. You can integrate TimeAttend with Intuit Quickbooks, SAP, Oracle, Sage, Salesforce, Jira and more. Here’s a list of available integrations. You can sign up for a 14-day free trial. After that, it costs around $30 Per month for up to 5 users. Price available on request for larger teams. Contact here for pricing. Zoho Projects is a timesheet software with a heavy focus on project management. It allows you to manage employee resources to meet project deadlines. Project-oriented teams, preferably for developers. The Zoho timer transfers time spent on project task to your employee’s timesheet. When creating project workflows, you need to estimate how long each task will take in advance. Compare this time with actual time spent with employees. With this information, you can set realistic deadlines for upcoming projects. You also receive automatic reports about the time spent on various tasks of the project. Zoho allows you to slice up a big project into more manageable chunks and tasks. You can allocate work to your team members, and specify start and end dates. Keep tabs on progress through the dashboard. You can view entire the project timeline using Calendar or Kanban views. Your team needs to be always on the same page. Communicate with your employees directly through the app through the Project Feed. You can add comments or update the status during critical situations. 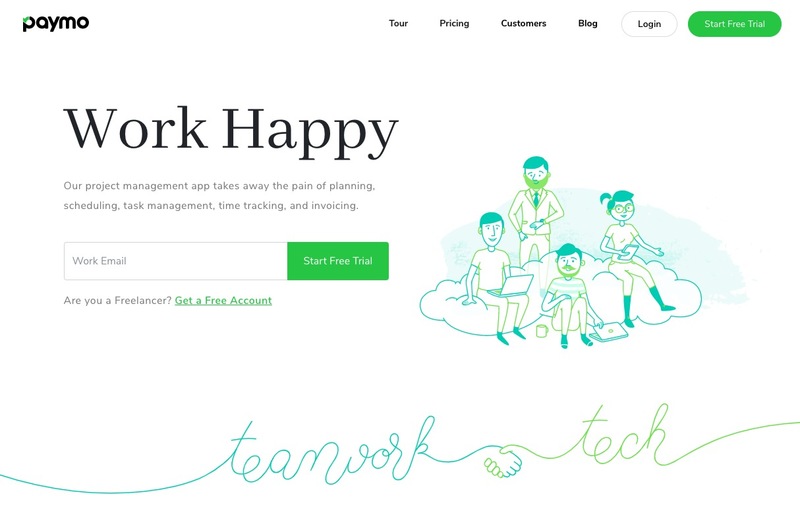 Seamlessly integrates time trackers with all Zoho Apps, Google Apps, and Slack. The free plan only supports 5 users and 2 projects. Premium plans range from $20 – $125. WeWorked is a simple online timesheet software without too many features. It also allows you to create invoices and collect payments directly from the tool. Consultants, small businesses, government contractors. WeWorked allows you to add customizable tasks to all different projects. You can even decide whether certain tasks are billable or non-billable. To reduce confusion, employees can only view the tasks that they have been assigned. The tool automatically keeps an audit trail of activities. Changes are tracked from account creation to a minor timesheet tweak. Ideal for government contractors that must remain Defense Contract Audit Agency (DCAA) compliant. Invoices are automatically created from the data stored on timesheets. You can also connect your Paypal account so your clients can pay you instantly. Very basic tool with elementary features. No mobile time tracking option. You can only integrate WeWorked with accounting software like Quickbooks and Xero. WeWorked is the most economical choice amongst Timesheet Software. Plans range from $2 – $50, with a maximum of 100 users. 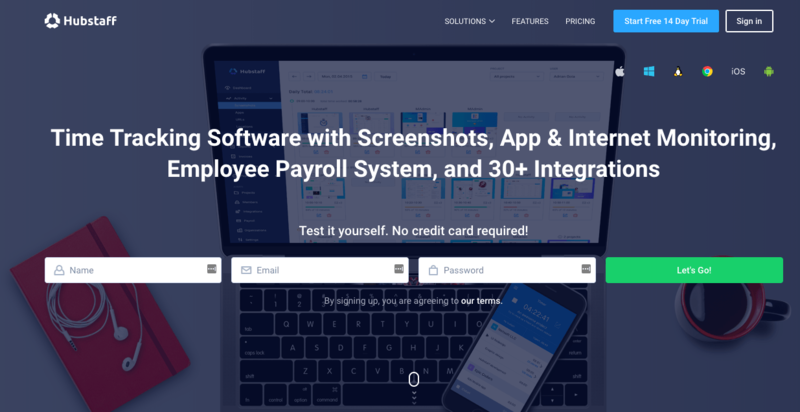 Paymo is a project management app with time tracking and accounting features. It’s ideal for task management and billing. Freelancers, small and medium project-based businesses. Often, your employees may forget to turn on the timer before work. As a result, you can lose track of important billable hours. To avoid this, PaymoPlus runs in the background and monitors what they are doing on their computer. Your employees can then allocate time spent on useful websites to the total project time. 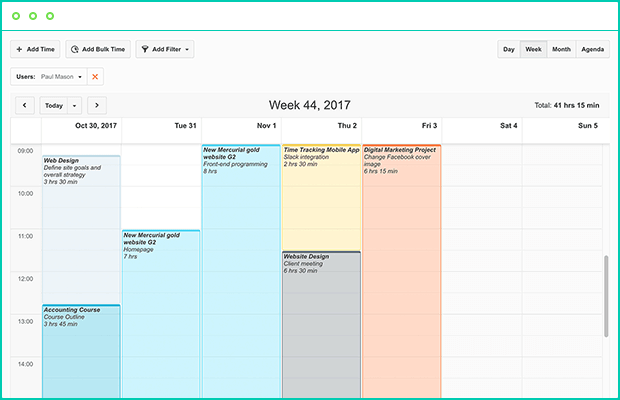 Visualize timesheet data in a calendar format with day, week, month views. Add or move time directly on the timesheet using drag & drop action. In case your working away from the computer, you can manually add time to your timesheet at any time interval. Get a comprehensive overview of all running projects. You can get information about progress such as hours worked, number of completed tasks, financial information, and status. Non-billable tasks don’t fit well with this system. Mobile app features are limited. Currently, Paymo can only be integrated with Zapier and Hubstaff. Paymo is free to use for freelancers. After a 15 day trial, you can get the Small Office or Business version for $9.56/user/month or $15.16/user/month respectively. Timecamp is a timesheet software that serves two purposes. It helps increase employee productivity and keeps an accurate record of billable time. Freelancers, small and medium remote teams. Linux, Windows, Mac, Android, and iOS. 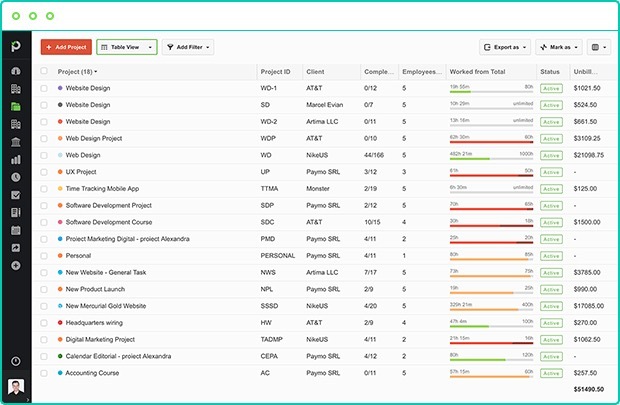 Keep a close-track on employees through a comprehensive productivity tracker. You get a detailed history on how they spend their day. Employees also receive a weekly email summary of their productivity. With this information, they can manage themselves better. They can also manually track offline activity by adding tasks and time to their timesheets. When managing a large remote team, you often don’t know if some of your employees have actually shown up to work. Timecamp allows you to track who is in and out at any given time. When the app detects inactivity, it shuts downs automatically and stops measuring idle time. You can also see how much time your employee spent away from their system. Tracking billable hours manually can cost you a lot of money. 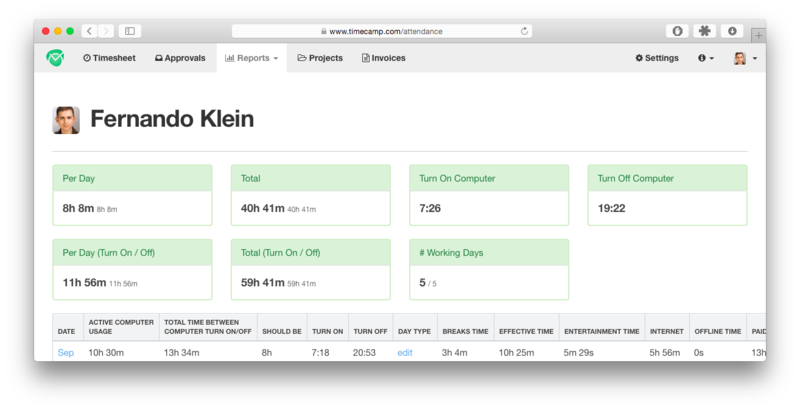 While your employees are at work, Timecamp runs in the background documenting every second. This accurate information can help you forecast time and costs for future development projects. Some features have additional costs. Timecamp works well with Trello, Asana, Evernote, Todoist, Xero, Slack and more. Freelancers can get the solo version for free! The Basic version costs around $5.25/user/month. 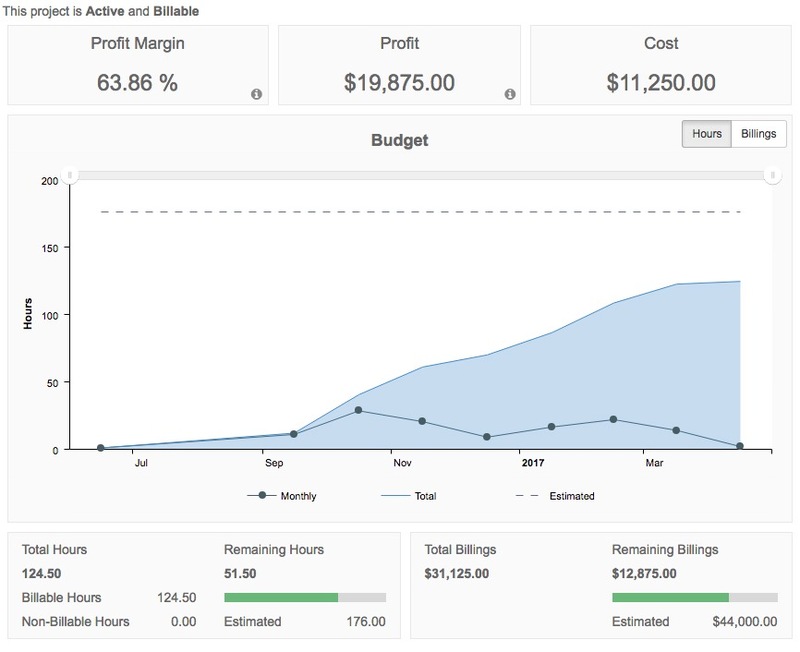 The Pro version (available for $7.50/user/month) has additional features including invoicing, reports and screenshots. After the 14-day free trial, users can access all the premium features at a flat rate of $9.99/user/month. Timesheet software ensure that you can keep track of your employees’ productivity as well as bill your clients accurately. 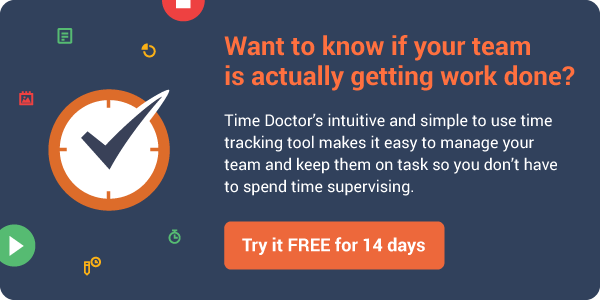 To try out automated time tracking and timesheet generation, sign up for a free trial of Time Doctor below.